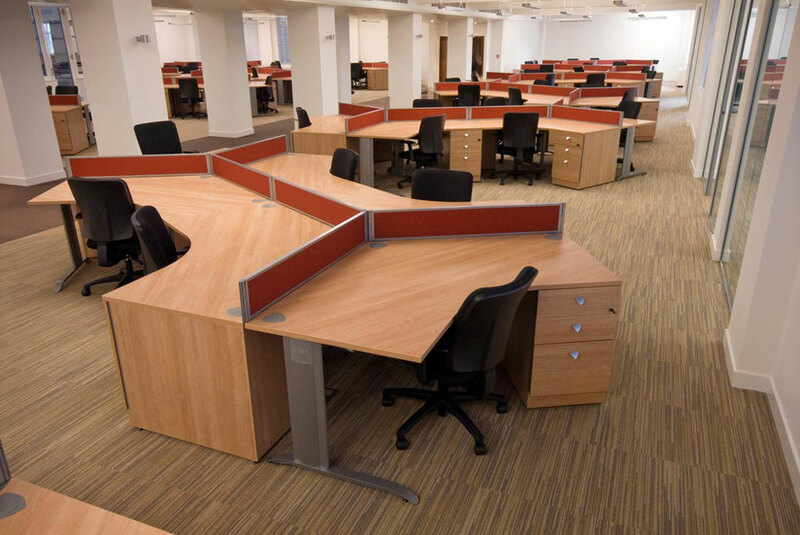 As one of the leading suppliers of call centre furniture in the UK, we can supply a variety of solutions from contemporary bench desks to traditional circular pods. 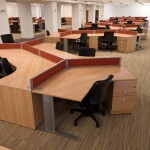 Circular pods are a group of desks that are put together to make one pod. This makes them perfect for call centres and telesales operations because it helps to keep people in teams and makes performance management easier. When setting up a call centre we can supply circular pods that have availability for 4 people, 6 people and 8 people. 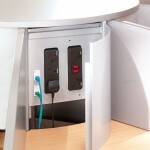 The pods come with 3 leg options, supporting tubular legs, supporting open CPU units to house towers and 3 lockable drawer narrow pedestals that give you a storage and filing option. 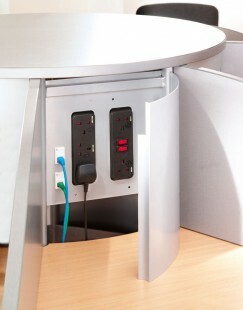 Call centre pods make very effective workstations and the use of curved diving screens to provide separation from colleagues so that noise disturbance is managed and integrated central power management so that all cabling is handled neatly, are two great features that will serve you well if are currently setting up a call centre. Circular pods are a popular way of setting up a call centre operation but a more contemporary option that is often used today is using bench desks or call centre desks. Call centre desks can give you a smarter, more clean feel to your office space and they can give you more options for space saving and increase the footprint of your office. 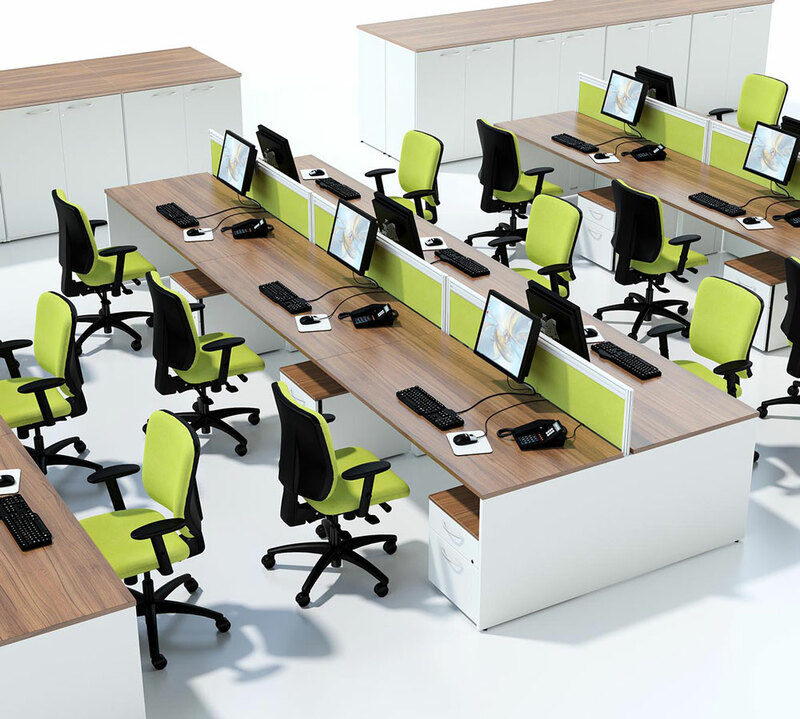 When setting up your call centre you have the choice of having freestanding straight or bench desks or linked or modular bench desks. Freestanding call centre desks can be butted up together to give the more room and help you to seat more people. The desks are freestanding so they give you the flexibility to move them around the office and create the space that you need. 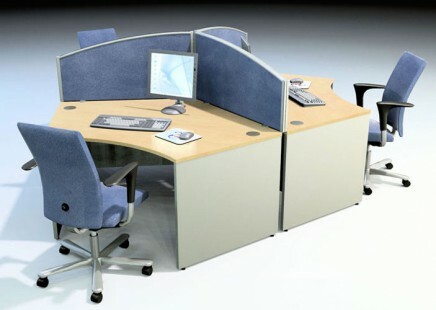 Another option for your call centre set up is using a modular bench desk solution. 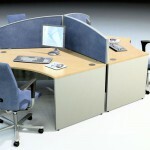 This offers a strong and permanent structure with the flexibility of being able to add and remove desks at either end. The cable management on a modular call centre desk is also integrated within the framework of the pods and this helps to link all the desks together. As well as desks we have a wide range of call centre tables and call centre chairs to help you set up your call centre operation. We have boardroom tables, coffee tables, meeting tables, folding tables and flexible tables that will enable you to kit out your entire office environment. 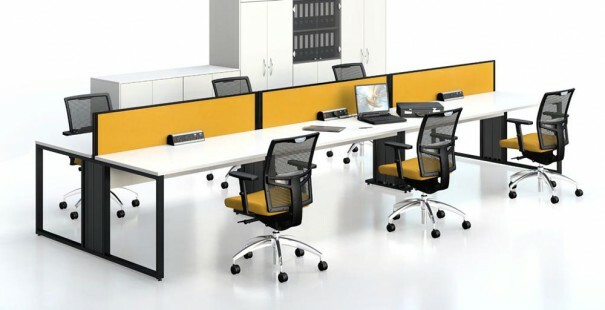 Our impressive range of call centre chairs include ergonomic chairs, operator chairs, executive chairs, meeting and boardroom chairs, as well as leather office chairs. Setting up a call centre is all about having the right desks, tables and chairs in place to make your office flow and work effectively. At The Designer Office we are leading experts in setting up call centres so for more advice please get in touch now.